CRYSTAL PALACE have relished the big occasion this season, stunning Manchester City at the Etihad while holding Arsenal and Manchester United to draws. So they won't be scared of Chelsea's superstars as they bid to follow Leicester's lead by taking the scalp of both the Blues and Manchester City over the festive period. Although Maurizio Sarri's side won on Boxing Day, they were far from convincing in the 2-1 victory over Watford and needed talisman Eden Hazard to dig them out three points. Palace were frustrated at home by lowly Cardiff and will see that 0-0 stalemate as two points dropped after their heroics at the Etihad. But a lack of firepower has been their problem all season and I can see this clash being another tight one with Chelsea hardly scoring for fun either. So do the bookies sadly and the odds of under 2.5 goals are just 49/50 with 888 Sport. Given Crystal Palace's exploits against the big guns this season they seem overpriced at 4/1 with 888 Sport and many punters may fancy a punt on the home win or a draw at 14/5. It finished 3-1 to Chelsea when the sides met at Stamford Bridge at the beginning of November but that was when the Blues were in much better form. 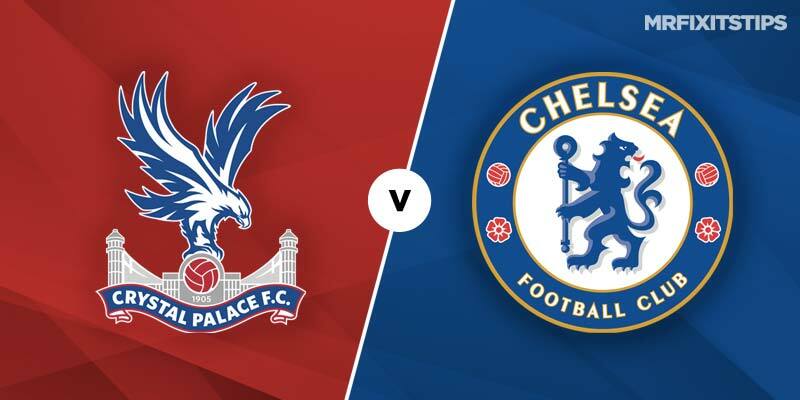 The three meetings before that all ended in a 2-1 scoreline, one in Palace's favour and the other two in Chelsea's, so it may pay to back a repeat. A 2-1 home win here is 3/1 but I'd be more inclined to go with Chelsea to win by the same score which is a 7/1 shot with 888 Sport. It's no surprise to see Hazard leading the betting for both first scorer and anytime scorer at 7/2 and 6/5 respectively with 888 Sport. For better value try Chelsea's Marcos Alonso at 19/4 for anytime scorer as he's always a threat from set-pieces and open play. Palace talisman Wilfried Zaha hasn't scored since mid-September so he may be due a goal. You can back him at 15/2 to break the deadlock and 14/5 to net at any time.